Fly high to reach the sky! 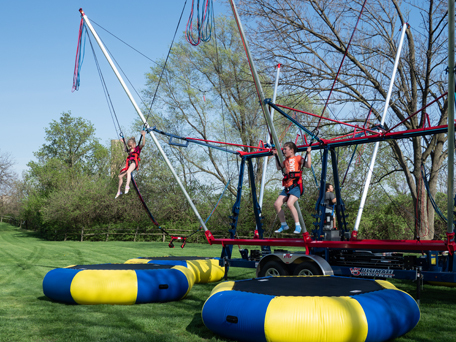 Bounce, flip and jump 18 feet high on our bungee trampolines. Feeling a little daring? Try back flips, front flips, or both! Our trained staff are available at all times to answer questions or assist whenever desired.